Post Traumatic is the debut solo album from Mike Shinoda. Mike first began work on his album Post Traumatic about eight days after the July 20th passing of Chester Bennington. Tweeting in January, he said, "The hardest thing was just getting started in general. The only person I spent more time with than CB was my wife (honorable mention to Brad and Dave). Getting back into the studio was terrifying." As he explained to Kerrang, "A week after Chester passed, the idea of the studio was scary. And it wasn’t just the idea of attempting to make a song and being overwhelmed by those memories. There’s another layer of fear for artists in this situation that is, ‘What if I can’t make anything good [without that person]?‘ Those hurdles start to accumulate, whether that’s fear or depression or the chaos of the outside world, it creates an echo chamber of anxiety. That was one of the things for me, I needed to make some stuff - whether it was usable or not didn’t matter. I was making bad ‘90s grunge songs, making bad rap songs… and then I made something good. I’d make all these things with no intention of putting them out, but just diving into some f the ideas that were already in my head." He said to Vulture, "So about eight days after Chester’s passing, I went into the studio and started making some stuff. I was starting to feel like I was a little bit out of touch with reality; I wouldn’t sleep well at all and then I’d wake up and go into my studio. Half the time I would just go in there and make stuff in the dark. The connection with reality was strained or blurred: It just felt so surreal with everything that had happened. Because I was in that headspace, one day I flipped on my phone and started recording “Place to Start” — I sang it into the phone while it was playing. I liked what that looked like: It felt like I was Skyping or FaceTiming you. I started to shoot things when I was really feeling them so that the sincerity would be there. I wasn’t 100 percent sure I would release the videos that way, but the more I thought about it, the more it became obvious that it was the right thing to do." Material for Post Traumatic stems from leftover songs from the One More Light sessions, like "Place To Start", as well as brand new material and other solo material (possible Fort Minor). During an interview with KROQ on the day of the release of "Crossing A Line", Mike said that he had discussed releasing more Fort Minor material with the guys in Linkin Park and that he had their blessing to do so. 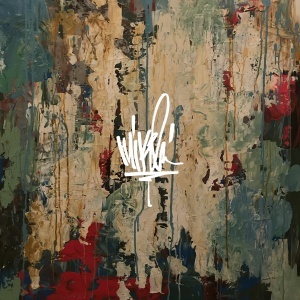 As for why the album was going under his name versus the Fort Minor name, Mike told Kerrang, "Grief is an incredibly personal thing, and I just think that everybody is on their own path, and has their own pace and their own things they need." Mike created and wrote most all of the music on the album himself. A leftover song from One More Light, "Place to Start", features some light percussion from Rob Bourdon. When he released the Post Traumatic EP in January, he tweeted, "I have a bunch of songs; some are more finished than others. I wanted to release these three today and see what the fans want me to do next. If you like these, I’ll keep going." The music was recorded at Mike's home studio The Stockroom and at The Village Studios in Los Angeles. The album begins with the three songs released on the Post Traumatic EP as the "grieving" portion of the album. According to Mike in an interview with KROQ, the album "goes from Nine Inch Nails vibes to NWA vibes." Some of the music is dark and grieving music while other music is upbeat and about different subjects. He told Vulture, "In the beginning, I didn’t care what I made as long as I was doing something. Sometimes it would just be for fun, and then eventually I was making some serious stuff about what was going on with me, and those became the first three songs I put out. Since then, I’ve kept going and realized that, since grief is such a personal thing, this had to be a solo album. I’m basically trying to sum up in the most truthful way the things that are happening in my head as I go. Some days that’s really dark, and some days it’s totally not. Hopefully as I go, the lighter days become more frequent." In terms of possible collaborators or guests, Mike tweeted, "There are lots of artists I’m friends with, and artists I don’t know who I admire. If I invite anyone to be a part of this process, it’ll have to be based on a mutual understanding of the concept—they have to have lived it to speak / sing / rap / paint on it." "Make It Up As I Go"
This page was last edited on 4 March 2019, at 06:15.